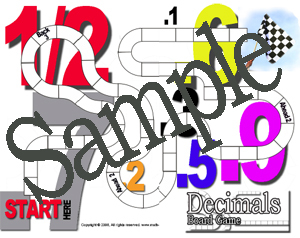 Board Games are a great way for kids to get excited and interested in learning Decimals. Answer Sheets for 2 games. Game #1 – Which is Larger ? Which is larger – .7 or 2/3 ? Which is larger – 2/3 or .6 ?